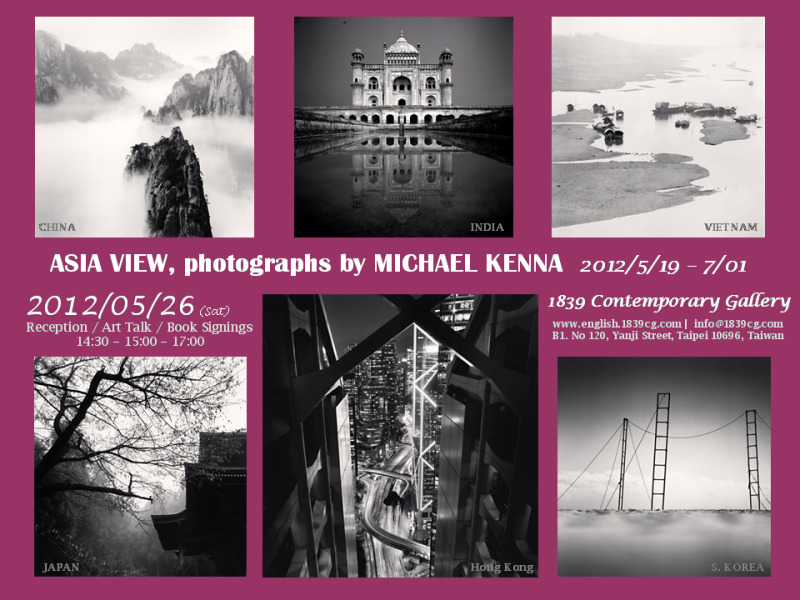 5/26 (Sat) Celebrate together with Artist Michael Kenna on his opening Reception, Art Talk and Book Signing at 1839 Contemporary Gallery in Taipei, Taiwan. The exhibition showcase Michael’s images of Asia made in China, India, Japan, Korea and Vietnam. Free Art Talk with Michael Kenna at 3pm on Saturday 26t May. The talk’s audience will be limited to 60 people, and advance seat reservations are recommended. Make an on-line reservation via booking system. Book Signing by Michael Kenna at 5pm same day, books are available to purchase at the information counter of 1839 Contemporary Gallery.